At Padooki's, our teachers are native English speakers with university degrees as well as internationally-recognised English teaching qualifications. 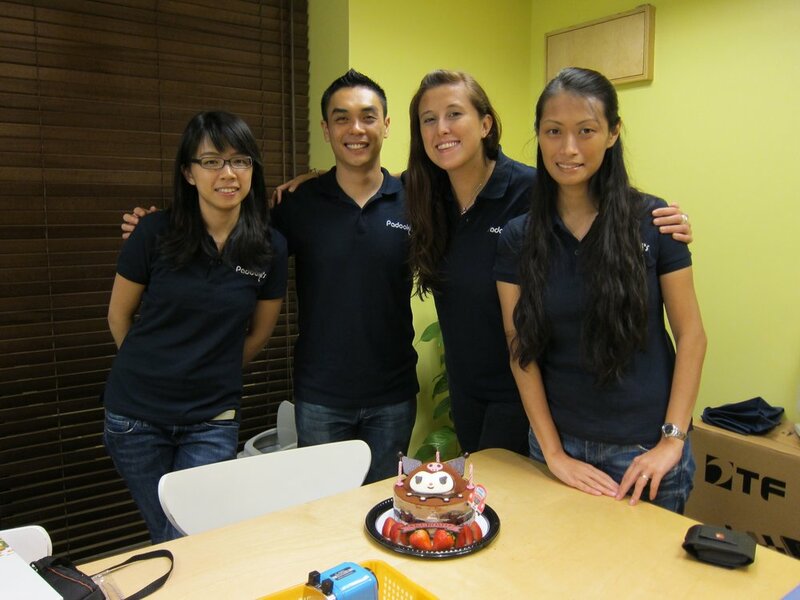 We teach full-time and each of us has extensive experience teaching English in Hong Kong. We understand the demands and the standards placed on students in the Hong Kong school system. Our approach to teaching integrates our knowledge of these standards with our belief that students learn most effectively when they are truly excited about what they're learning and how they're learning it. The result is a highly-interactive teaching style that is aimed at establishing a strong foundation of practical skills in oral and written English geared specifically for use in primary and secondary schools in Hong Kong. We have been conducting our Comprehensive English Tuition group courses and Private English Tuition courses at our learning centre in North Point since 2007. We have had strong, positive feedback year after year from parents and their children, many of whom attend some of the most reputable local and international schools in Hong Kong. Many of our active students have been studying with us for more than five years, giving us the opportunity to see them make successful transitions to top secondary schools and universities in Hong Kong and abroad. Our curriculum at Padooki's is structured to cover all major aspects of English language learning. Each course level lasts approximately 12 months and has specific learning objectives that allow the teachers to monitor each student's progress effectively. We provide parents with regular feedback and conduct quarterly evaluations to ensure learning goals are met and to maximize students' potential. Please click here for more information on our courses. Aside from our private tutorials, all of our courses are conducted in small groups (typically 4 to 6 students) to ensure effective learning while balancing the fun and benefit of interactive group-based learning. We offer free assessments so that our new students can be placed in the most appropriate courses and course levels. Reading skills and oral proficiency weigh heavily in our placement, while parental preferences are also taken into consideration. All of this is done to ensure that students enjoy the interaction in their lessons, stay as motivated as possible, and still be constructively challenged by the topics and assignments from week to week. Padooki's is a fully-licensed school in Hong Kong, approved and certified by the Education Bureau of Hong Kong. We exceed all safety and health requirements set by the government to ensure a safe and comfortable environment for your children. Our mission in the classroom is to keep our students excited about what they're learning by adhering to a highly-interactive approach in the classroom. We strive continually to increase motivation in our students and to help each of them build a strong fundamental interest in English learning. Our approach revolves around our belief that students of all ages learn most effectively when they love what they're learning and how they're learning it. Padooki’s English Learning Centre is located in an after-school education mall on the first floor of City Garden Shopping Centre in North Point. We are a 5-minute walk from the Fortress Hill MTR station. Please click here for our address and contact information.